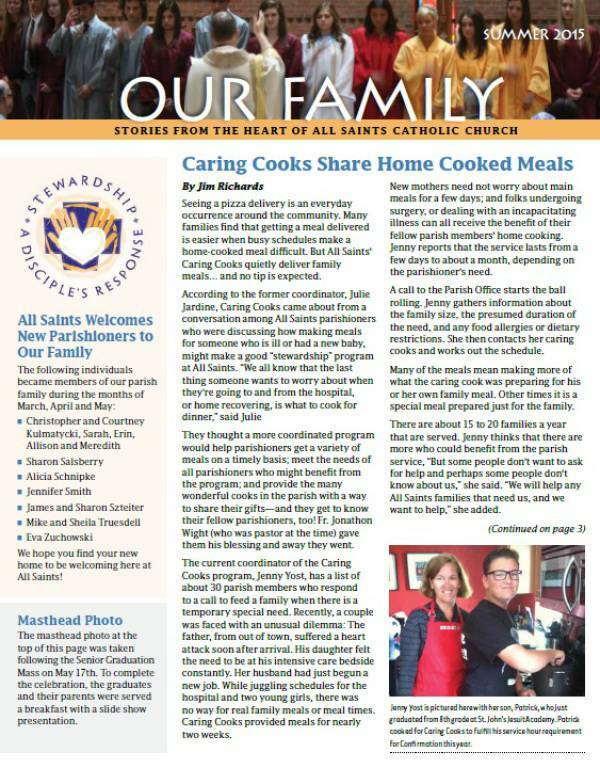 Our Family Parish Newsletter is a quarterly publication sponsored by the Stewardship Council. The first issue was produced in the Spring of 2008. To nurture a deeper understanding of living life as a Christian disciple. Click here for the full results of the 2014 Our Family Newsletter Survey.